Many a times, in fact almost every time we wonder about the dress that we have to wear on wedding parties. Without a doubt lehenga is one of the favorite dress of every girl and almost every girl prefer to opt for a lehenga during wedding functions because of the grace, beauty and comfort it gives which cannot be given by any other ethnic wear. In fact sari also fails when it comes to comfort. So today we are sharing a beautiful white, pink lehenga with golden work that will look good on any wedding occasion. 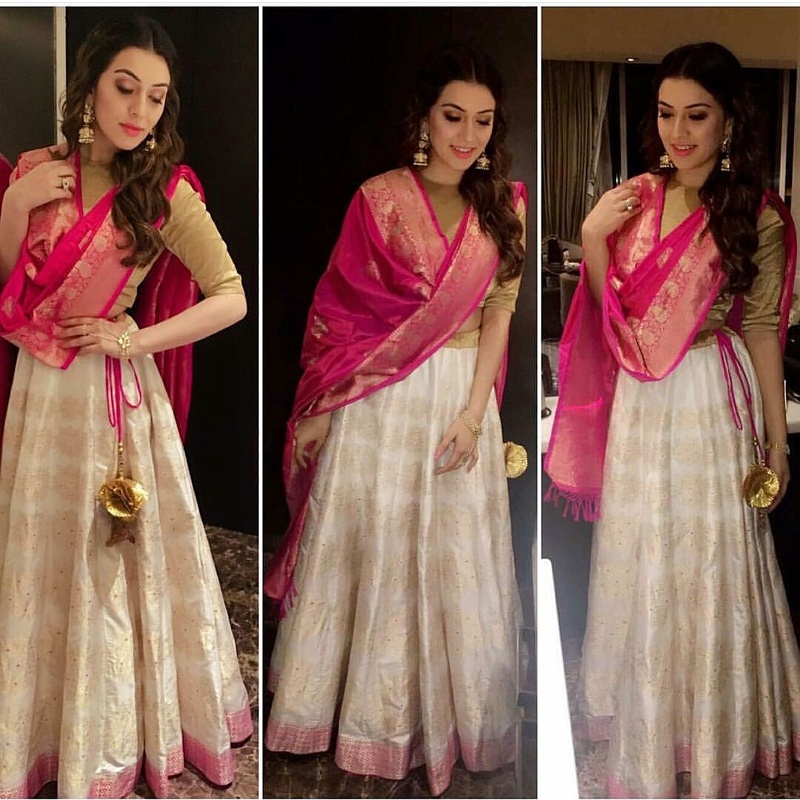 Love those earrings with this lehenga that looks superb on Hansika Motwani. What do you think? Would you opt for this lehenga for wedding parties?